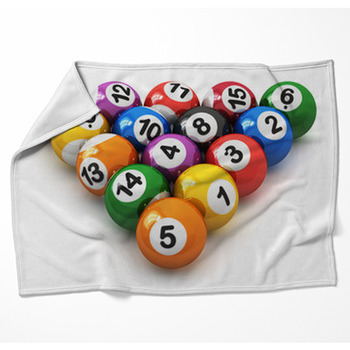 Turn your bed into a billiards table with our pool blankets. 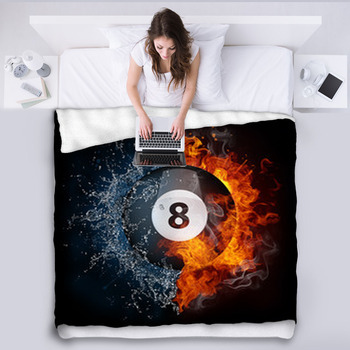 Stretch fleece blankets that show photo images of real pool tables across your bed. 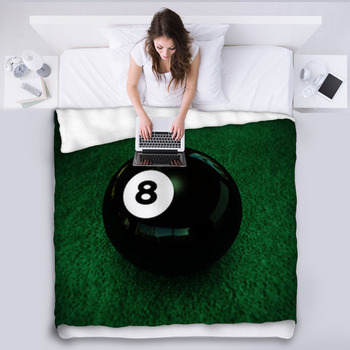 Or go with throw blankets for the rec room couch, creating an aura of antique bars and intense competition with creative images of eight balls, and all of the other colorful numbers ricocheting across the felt. 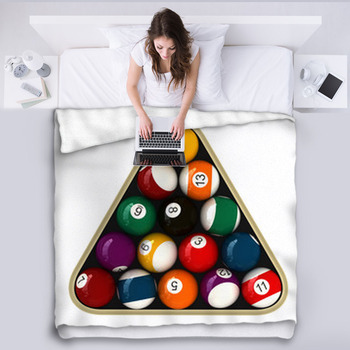 Of course teens also love to play pool as well, and our pool blankets will remind them of the relaxation and fun that this classic game brings. Give your son a woven blanket that exhibits a close up photo image of a set of billiard balls arranged in a smoothly polished wooden rack. The balls are placed in professional style, with the yellow 1 in front and the black and white eight ball in the middle. 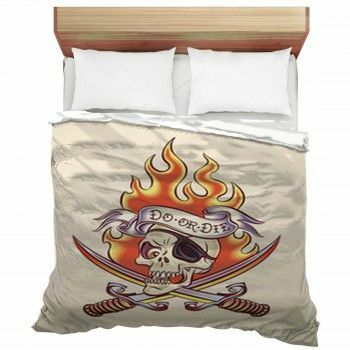 For the guest room, go with a custom blanket that creates an edgy decor with an eight ball themed design. 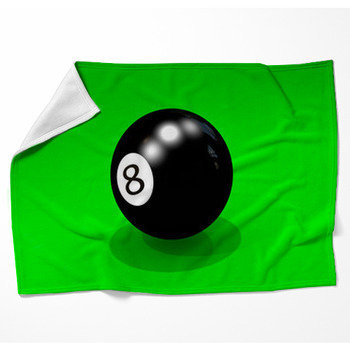 How about the famous eight ball shown crashing through a glass window pane against a black background? 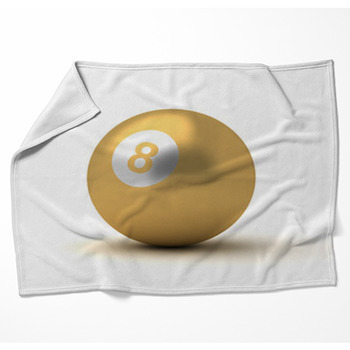 Or a fleece blanket that features an eight ball impaled by a brown wooden cue stick? 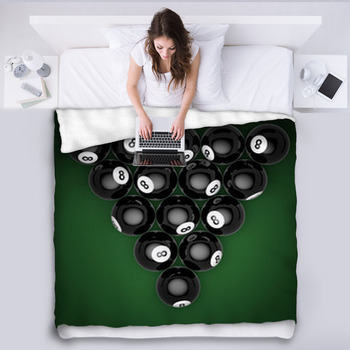 Another throw blanket shows that the stakes are set and the game is on, with a photographic design composed of an overhead shot of a pool table, as two cue sticks lie beside a rack of billiard balls. We even have pool blankets especially made for girls. 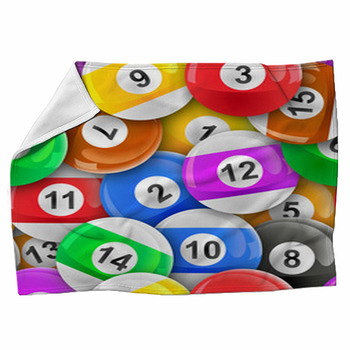 These include a pattern of green, purple, red, turquoise and black billiard balls seen floating amid abstract and colorful swirls. All of this is set on the blanket's pink background. 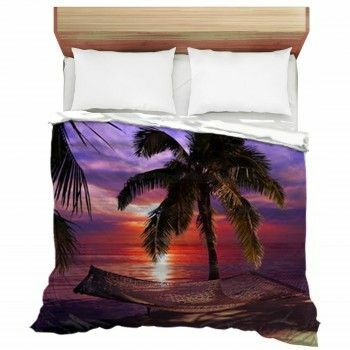 Complete a pool hall feel in your entertainment room by adding our pool themed window curtains and wall art.